The hope for change will never be realized unless you vote! 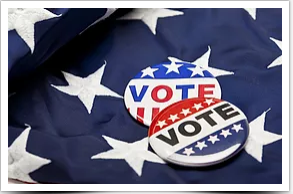 Please click on one of the links below to ensure you are registered to vote in the state of Iowa and where your correct polling place is located. NEED HELP? If you need any additional information or have questions about the voting process, rules, your rights or anything else relating to voting in the state of Iowa, please visit the Iowa Secretary of State's website.